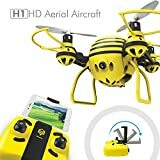 i Click 'view all' to instantly compare this fantastic deal with offers on other top quadcopter drones. 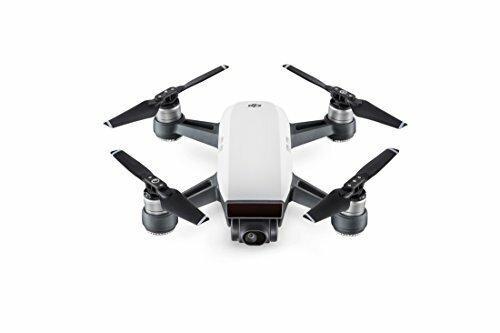 DJI Spark Fly More Combo Alpine White is currently selling at $507.00, approximately $17.35 lower than average, giving a potential saving of $41.99 right now. With a lowest price of $504.98 and an average of $524.35 it is selling on the low end of its usual range. Price volatility is 3.71% (meaning it changes a few times a week), so the price should stay low for a while. Right now this product is a recommended 'fantastic deal'. 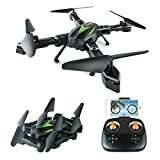 Compare the current price, savings (in dollars & percent) and Buy Ratings for the top Quadcopter Drones that are closely related to DJI Spark Fly More Combo Alpine White. Here is how DJI Spark Fly More Combo Alpine White compares with other leading Quadcopter Drones. Spark Seize the Moment Overview Spark is a mini drone that features all of DJI's signature technologies, allowing you to seize the moment whenever you feel inspired. With intelligent flight control options, a mechanical gimbal, and a camera with incredible image quality, Spark empowers you to push your creative boundaries. Pipeline Quick Launch With FaceAware, Spark lifts off from your hand by recognizing your face. It takes off and hovers in place within seconds of powering on. Simple Control Take amazing aerial photos using just hand gestures, without a remote controller or mobile device. Create with Ease Intelligent Flight Modes and intuitive controls help you create cinematic aerial videos with just a few taps. Edit and Share The DJI GO 4 app features automatic editing templates and an array of filters. Quickly edit videos and share them straight to social media. Intelligent Flight Modes Smart, reliable, and incredibly intuitive QuickShot Videos with a Tap Let Spark take professional shots for you. QuickShots help you shoot amazing footage with cinematic composition. Rocket Ascend with the camera pointing downward. Dronie Fly backward and upward, with the camera locked on your subject. Circle Circle around your target. Helix Fly upward, spiraling around your subject. TapFly Flight at Your Fingertips In TapFly mode, just envision your shot and Spark captures it for you. Tap your phone screen and Spark, using vision technology, flies in the direction of your tap or exactly where you tapped while actively sensing obstacles. Capture shot after shot with just your fingertips. FeaturesIntelligent Flight ModesSmart, reliable, and incredibly intuitiveQuickShotVideos with a TapHigh-Performance CameraAmazing images and stabilized videoMechanical Gimbal StabilizationShake-Free ShotsFlight PerformanceAwesome potential, immersive experiencesPowerful Propulsion Speed and Precision ControlFlight SafetyWorry-free flight in the palm of your hand ; Propeller guards are recommended when using these functions.